Product prices and availability are accurate as of 2019-04-20 14:05:28 UTC and are subject to change. Any price and availability information displayed on http://www.amazon.co.uk/ at the time of purchase will apply to the purchase of this product. A Glimpse of King Richard III offers a brief telling of the life of one of England's most renowned monarchs. This book is deliberately short and necessarily misses out large amounts of detail but offers an overview of this fascinating topic. 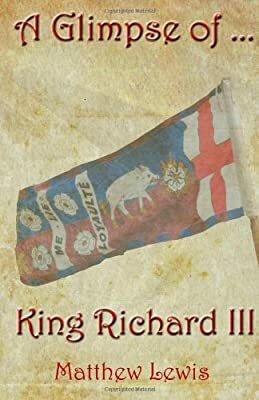 King Richard III of England was the last of the Plantagenet Kings and the last King of England to die on the battlefield. His story has been passed into the common consciousness as one of an evil uncle ruthlessly seizing power from and killing his own nephews. Yet he is also the only monarch to have a current and active fan club seeking to rehabilitate his reputation. 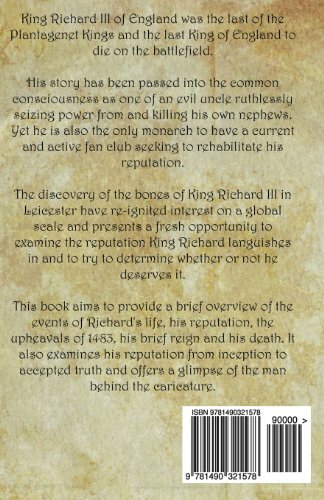 The discovery of the bones of King Richard III in Leicester have re-ignited interest on a global scale and presents a fresh opportunity to examine the reputation King Richard languishes in and to try to determine whether or not he deserves it. 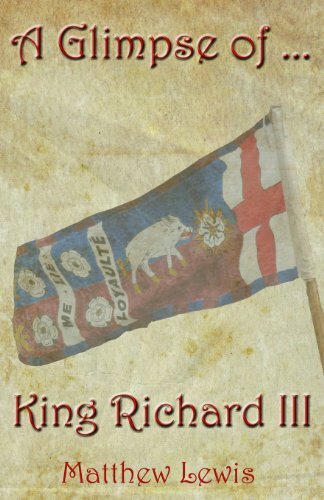 This book aims to provide a brief overview of the events of Richard's life, his reputation, the upheavals of 1483, his brief reign and his death. 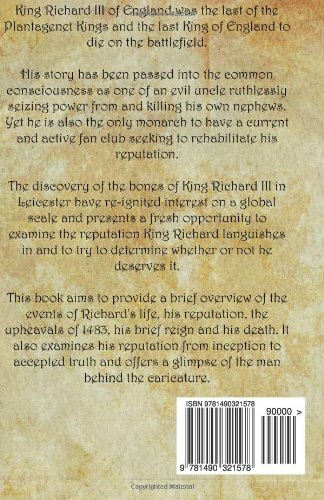 It also examines his reputation from inception to accepted truth and offers a glimpse of the man behind the caricature.